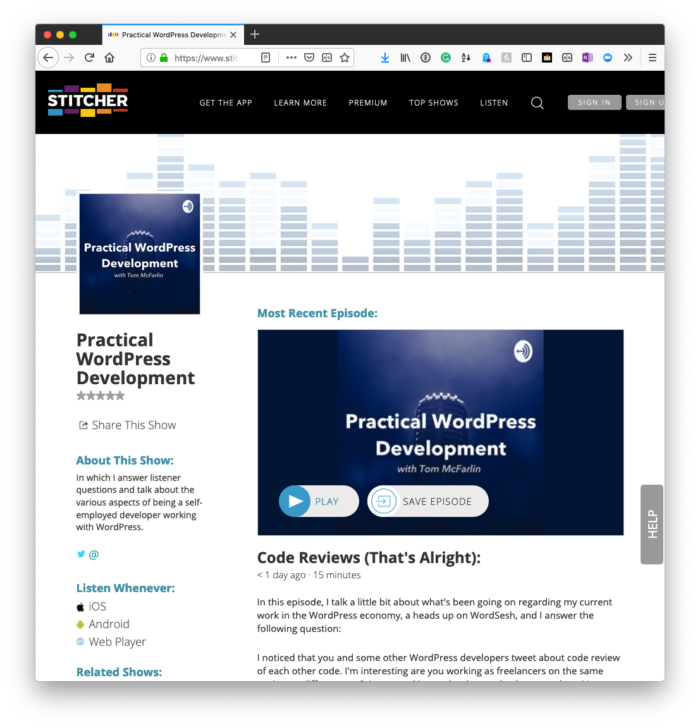 Code Reviews (That’s Alright) Published a little later than usual, this episode covers one of my favorite topics: code reviews. This episode published a little later than usual because of Spring Break, covers one of my favorite topics: code reviews. If you’re already a subscriber, then the episode should already be available on your app or service of choice. If not, look it up on any of the reviews linked below. This episode features a multi-part answer for a multi-part question along with some info about WordCamp Atlanta and WordSesh. It’s a Trilogy (with Models and Music) The show reaches a bit of a milestone with three whole episodes, I suppose. I mix up the format again and answer two questions. This is the third episode of the podcast and, as you can tell by the title of the show notes, this is a bit of a milestone. At least, it’s considered as such for movies and books. For podcasts, I don’t know. For this one, sure. Why not? 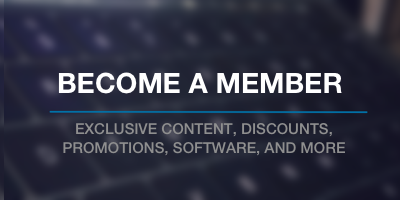 If you subscribe to this using one of the various services on which it’s available, you may have already listened to it. If not, then consider it ready for you whenever you’re ready to listen to it. I’m still working on the format of the show to try to make it as focused as possible so I’ve adjusted the order of material a bit again (and dropped a segment out). This leaves time for more than one question as well as more detailed answers. To that end, I think this episode is one of the strongest thus far. But that’s really your call, isn’t it? Though I still consider this whole podcasting thing an experiment, and likely will continue to do so for a while, I’m excited to have the notes ready for the second episode. Depending on where you subscribe, you may already have listened to it or have it queued up. But I’ve got the show notes for the episode in this post. And yes, I have a more structured format. I don’t know how much more I could’ve put into what’s just the second episode, but you can be the judge. 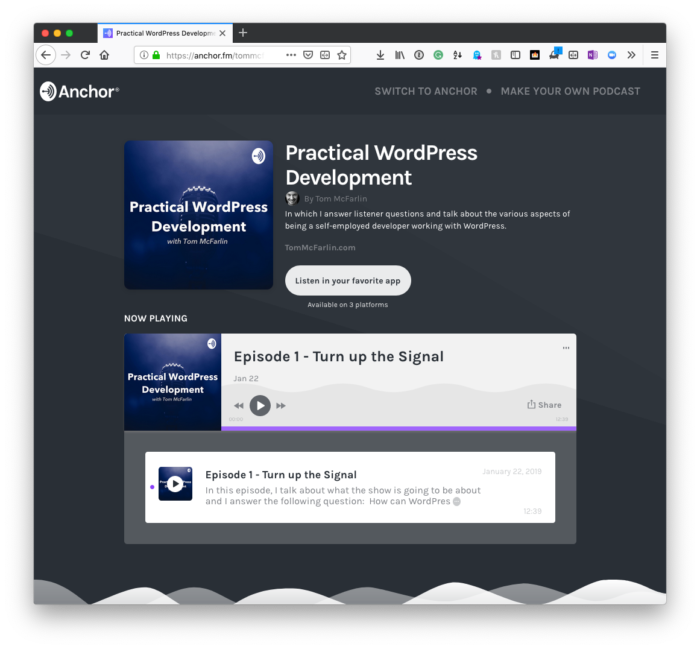 Episode 1 – Turn up the Signal Here are the show notes for the first episode of a Practical WordPress Development podcast. I finally published the first episode of the podcast. 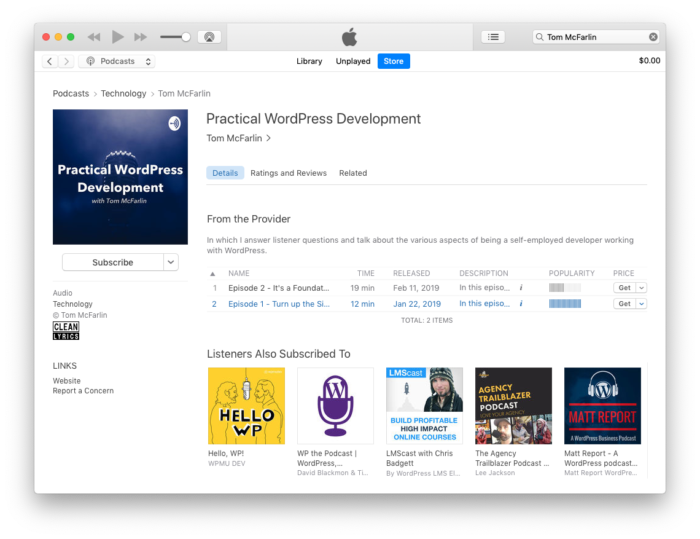 I’ve opted to title it a Practical WordPress Development Podcast. 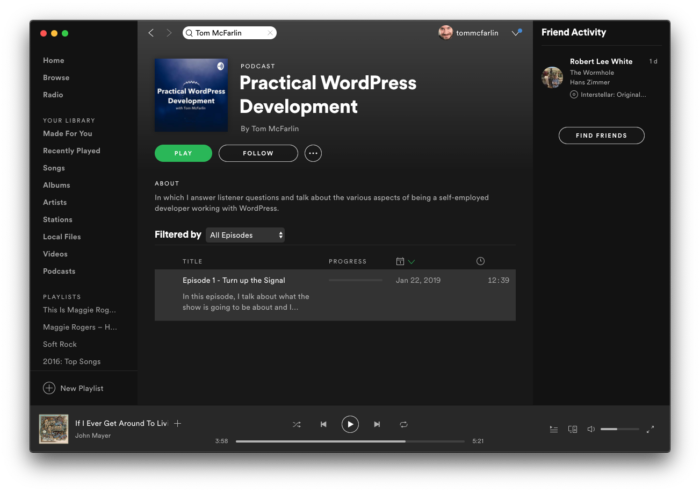 It’s a podcast in which I answer listener questions and talk about the various aspects of being a self-employed developer working with WordPress. Depending on when you read this, the show may or may not be available on your favorite service (but it’s coming!). In the meantime, you can check it out on Anchor. All of the notes and the content for the show are covered later in the article.